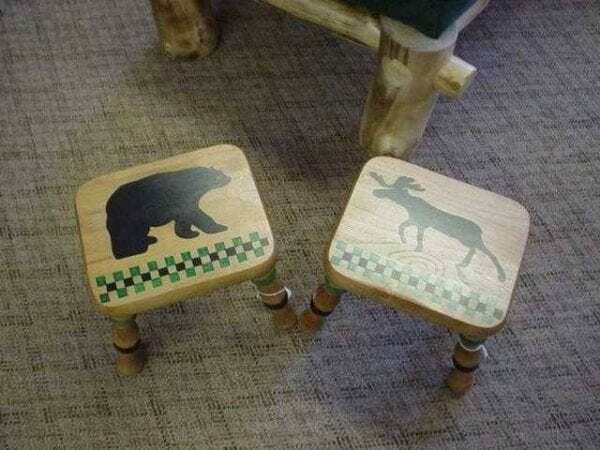 These cute little footstools belonged to a client, and she just wanted a rustic graphic design of a bear and a moose painted on them. She loved them and said they fit right in with her rustic home décor. If you have a stool you would like artwork painted on we can paint almost any design for you….just let us know what you like.